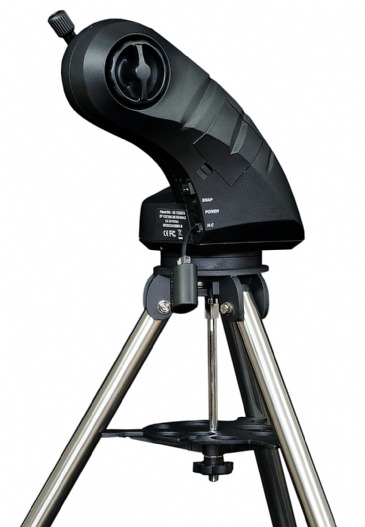 See and buy Computerised Telescope Mounts from our Hertfordshire UK based showroom or buy online with Free mainland UK Delivery. 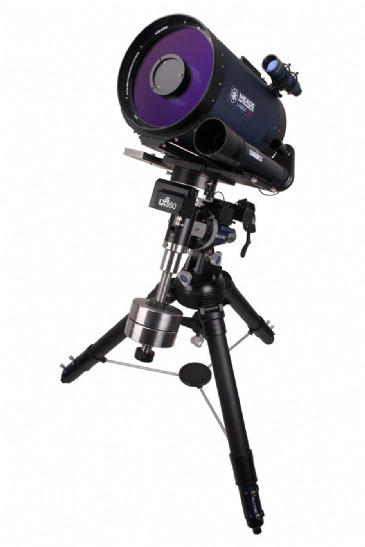 A popular development in astronomy is the go-to mount. 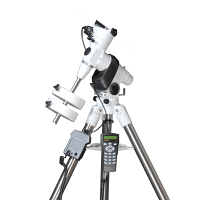 To create this, manufacturers attach motors to both the altitude and azimuth axes. 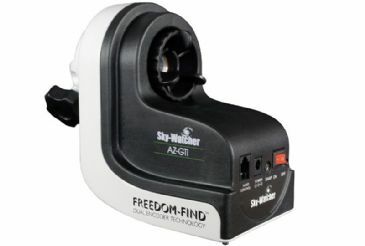 The motors also connect to an onboard computer. 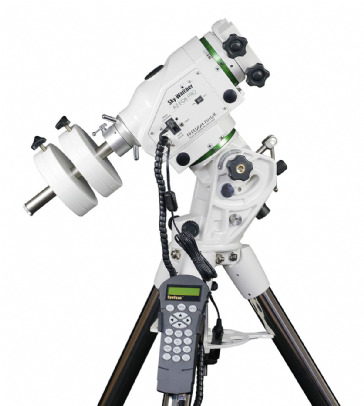 Once you run through a simple setup procedure, the go-to drive will find and then track your celestial target. 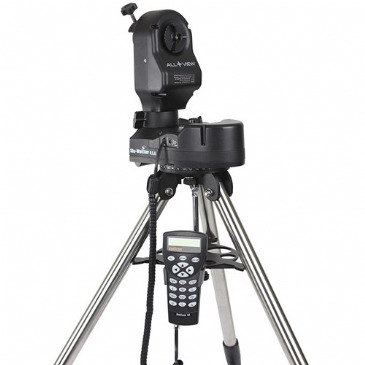 Mounts using this system are highly accurate. 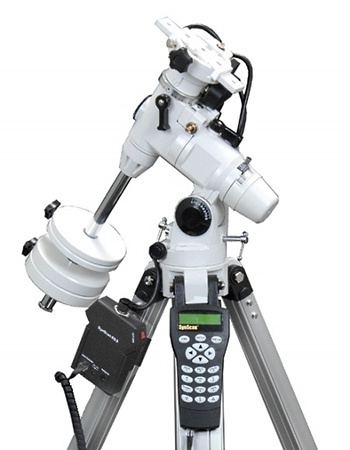 Once the drive locates an object, it will follow it as it moves across the sky without you moving the telescope. 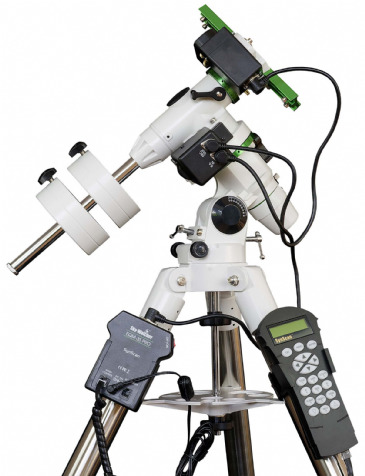 Most go-to scopes manufactured today have large databases with thousands of objects. 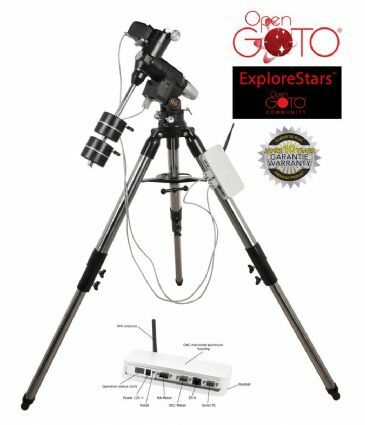 Explore Scientific EXOS-2 PMC-Eight GOTO Mount - a revolutionary belt-driven German equatorial mount with wireless goto control and the first commercially available wireless ST4 protocol autoguiding function. 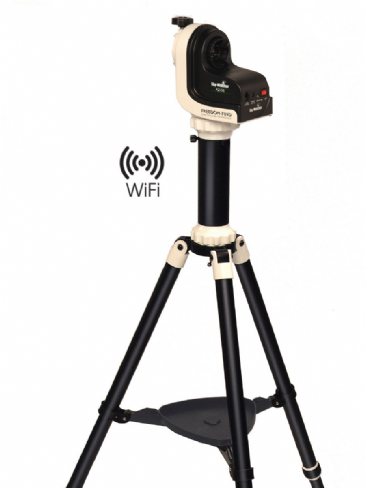 Whisper quiet, with high accuracy, low periodic error, this mount is sure to win fans all over the world. 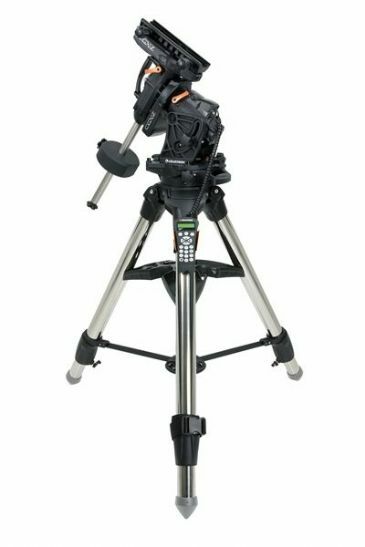 The Explore Scientific iEXOS-100 PMC-Eight Equatorial Mount - a highly portable, lightweight, wireless-controlled German Equatorial mount for visual astronomy and astrophotography. 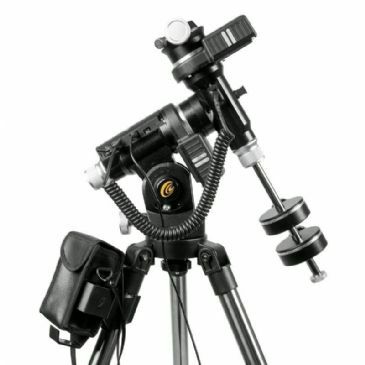 Ideal for smaller telescope setups and cameras. 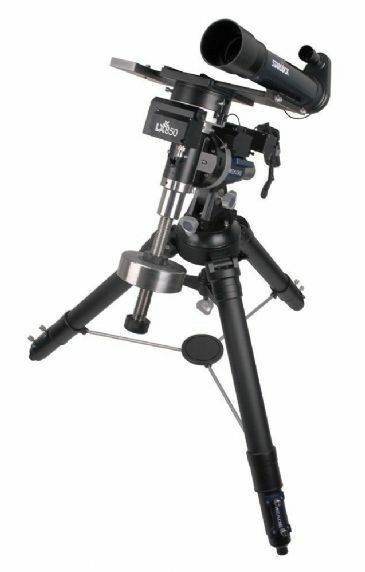 The Explore Scientific Losmandy G11 PMC-Eight Goto Mount is a collaboration between Explore and the world famous and highly regarded Losmandy Telescope Mount specialists. 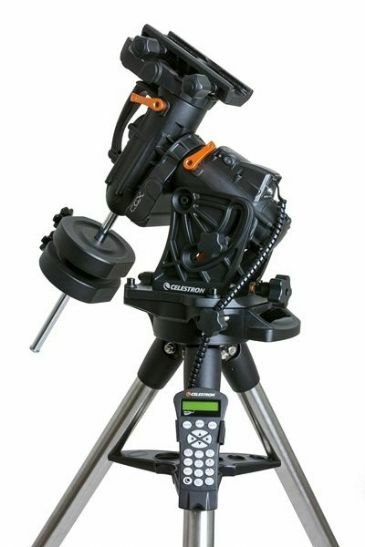 Featuring Explore Scientific's groundbreaking PMC-Eight wireless goto technology and Losmandy's rock solid G11 German Equatorial mount platform, this system is going to appeal to those who want the ultimate in mount build quality and tracking accuracy. 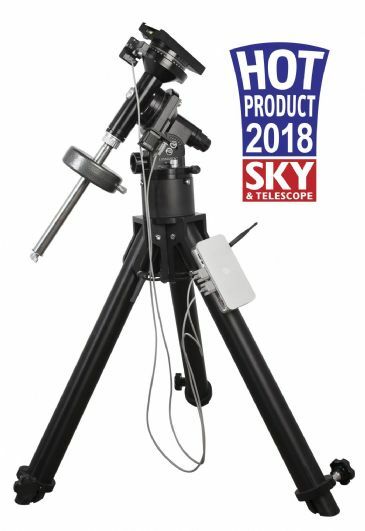 This latest model Skywatcher NEQ6 PRO SynScan includes counterweight extension bar and dual-saddle to suit Skywatcher 75mm and Skywatcher 45mm (Losmandy-style and Vixen-style) dovetails.